Why should you apply to Detroit Mercy's Nursing program? 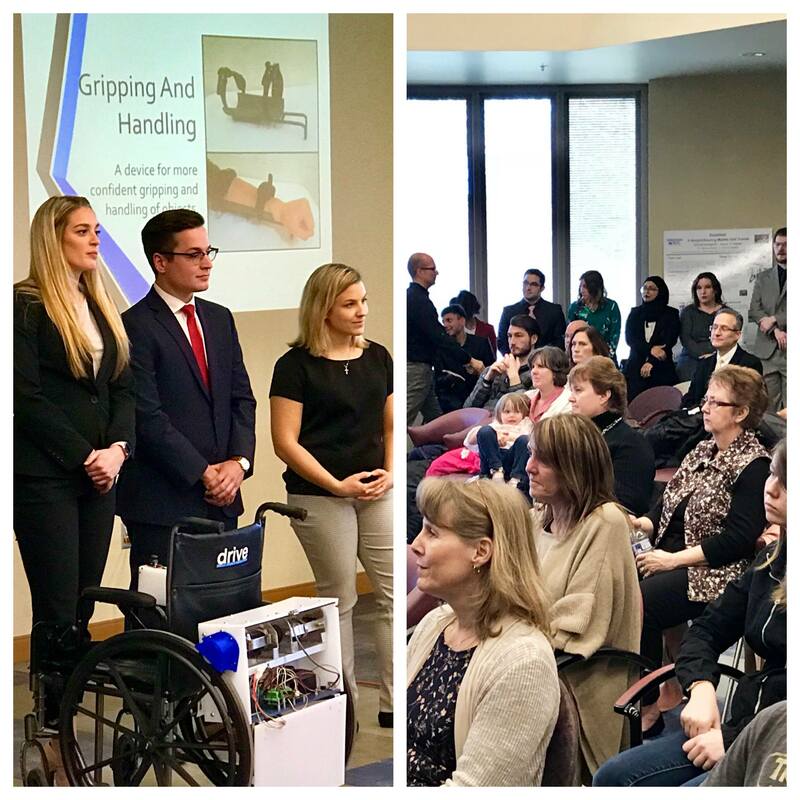 For the past nine years, Detroit Mercy senior engineering and nursing students have worked together to design rehabilitative devices for Detroit-area disabled veterans, making a difference for others. Read the full story online. Our Nursing programs are responsive to changes in the marketplace. 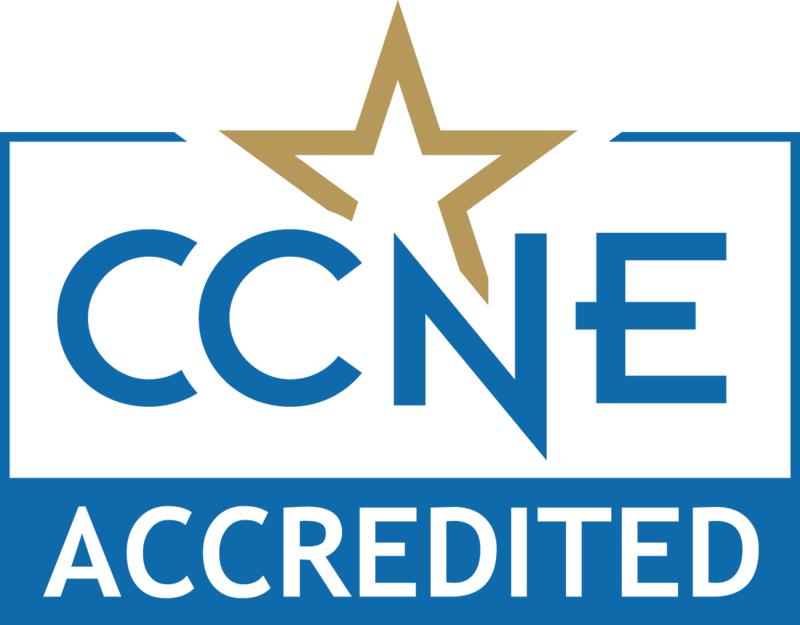 Both the undergraduate and graduate programs are accredited by the Commission on Collegiate Nursing Education (CCNE). We offer Nursing education in Grand Rapids too! We have an extremely low student-to-faculty ratio and more than half of our Detroit Mercy undergraduate classes have from 5 to 19 students, assuring an amazing level of personal attention both inside and outside of the classroom. According to the Bureau of Labor Statistics, Registered Nursing (RN) is listed among the top occupations in terms of job growth through 2022. The RN workforce is expected to increase from 2014 to to 2024 by 439,300, or 16%. Employers are seeking nurses prepared at the bachelor's and graduate-degree levels who can deliver the higher complexity of care required across a variety of acute-care, primary-care and community health settings, and to provide other needed services such as case management, health promotion, and disease prevention. Demand is particularly acute for nurses in key specialties, such as critical care, neonatal nursing, emergency room, operating room and labor and delivery units; and for advanced practice RNs such as nurse practitioners and clinical nurse specialists. Though hiring of RNs is accelerating in more cities, today's demand varies region by region, market by market, contrary to the pervasive nationwide shortfall of RNs in the late 1980s. A further complication is that the available positions will require registered nurses who are educated and experienced to handle the increasingly complex requirements of the current and emerging health care environment. To meet this need and increase the number of baccalaureate-prepared registered nurses, Detroit Mercy has implemented innovative new programs and alternative delivery options, in addition we have set up partnerships with several health care systems throughout the metro Detroit area. The Detroit Mercy Nursing program supports on- or off-campus programs structures. You can take classes full time or part time. We have a schedule that is right for you, allowing you to transfer your current skills for a new career. Information technology has become an increasingly integral part of the health care industry in recent years. At the same time, it has become a fundamental part of the educational environment at Detroit Mercy, especially in the College of Health Professions. Many of our programs offer courses online, and many other classes are now web-enhanced. Class materials such as notes, handouts and supplemental reading are available via College web sites. A number of classes are hosting online discussion groups as well. The McAuley School of Nursing has a remarkable faculty comprised of nationally known experts. In fact, many have the Ph.D. or other highest available degree in their field of expertise. The mission of the McAuley School of Nursing (MSON) program is to prepare compassionate and competent baccalaureate and graduate level nurses who are committed to serve, lead, provide high quality, cost-effective and culturally sensitive health care services to diverse individuals, families, communities and populations. Congruent with the University's mission, the program focuses on providing nursing care to the underserved in an urban context. The faculty of the McAuley School of Nursing (MSON) promotes a values-based education that fosters the spiritual, intellectual, social, psychological and ethical growth of the life-long learner. The faculty is committed to teaching in the context of the Mercy and Jesuit traditions to the service of faith, social justice, and compassionate, competent nursing care. Faculty-student relationships are foundational for students’ personal and professional development in both the undergraduate and graduate programs. These relationships are based on open, honest, caring interactions, which empower students and faculty to become partners in education. The faculty recognizes the critical importance of caring that occurs, especially as reflected in faculty-student encounters. These encounters are a model for relationship-centered care with patients, families, communities, and other health team members that result in quality outcomes. The Bachelor of Science in Nursing (BSN) is the foundation for professional nursing practice and for the graduate degree programs. The nursing faculty believes that education is a dynamic, interactional process that involves changes in perception, thinking, feeling and action. Education is the process of acquiring new knowledge, skills, attitudes, and values to meet the challenges of the communities and populations we serve. Building on the Mercy and Jesuit traditions, the faculty is committed to creating a learning community of discourse and service. Utilizing pedagogy that encourages ongoing reflection on our human experience, faculty and students work together to further the social, political, economic and spiritual well-being of the human community. In that regard, the faculty believes that learners are characterized by a diversity of cultural backgrounds and economic status. The MSON actively recruits and values faculty and students who reflect this diversity. Likewise, partnerships in the community are developed and utilized to provide students with experiences of diversity in clinical settings. The MSON faculty strives to promote a sense of altruism, integrity, confidence and autonomy with accountability and a commitment to lifelong learning/learner and professional competency. To meet the complex, multifaceted role of the professional nurse, undergraduate-nursing education must integrate a strong liberal arts core with essential competencies of nursing science and the art of nursing. Such integration establishes a broad-based learning foundation across the health-illness continuum that promotes critical thinking, clinical judgment, and ethical decision-making including evidence-based practice and resources. The graduate program provides experiences for students to develop the necessary knowledge and skills for advanced nursing practice. This includes developing knowledge and expertise in specialty roles, evidence-based practice and leadership. Both professional and graduate nursing education requires respect for the unique traditions, missions, and strengths and needs of our community’s partners. The Essentials of Baccalaureate Nursing for Professional Nursing Practice (AACN, 2008). The Essentials of Master’s Education for Advanced Practice Nursing (AACN, 2011). The Essentials of Doctoral Education for Advanced Nursing Practice (AACN, 2006). Criteria of Evaluation of Nurse Practitioner Programs (National Task Force on Quality Nursing Education, 2012). A variety of other professional standards and guidelines are incorporated into the curriculum as appropriate. Please see the Financial Aid website for more information on tuition costs and scholarship opportunities. For those looking for extensive clinical opportunities, Detroit Mercy provides some of the best. In all of our programs, clinical experiences not only abound, but are integral components of each program's curriculum. Through these real clinical opportunities, our students gain valuable practical experience with full college credit while our participating health care professionals (and their sponsoring institutions and hospitals) receive quality assistance from well-educated, highly motivated student practitioners. The on-site locations offer convenience to students, but also opportunities for curriculum collaboration with the partner hospital systems. The University of Detroit Mercy McAuley School of Nursing has collaborative agreements with a variety of health care agencies that provide students with high-quality clinical experiences. Sigma Theta Tau International is the Honor Society of Nursing. Detroit Mercy's Lambda Zeta chapter inducts students each spring, and offers educational programs, research grants, and scholarships. This organization has students in all the McAuley School of Nursing programs.